With spring in full swing, this week we’ll explore how the fresh herbs from your garden can influence the perfect food and wine pairing. Our in studio guests from beautiful Niagara-on-the-Lake, will be our guides sampling select herb-inspired appetizers and wine combinations, courtesy of participating wineries at the “Wine and Herb Touring” weekends taking place throughout the month of May. On today’s show Jana Bonifero with the Niagara Grape and Wine Festival who will lead us through the wonderful up and coming events that taking place in this stunning wine region as well as Executive Chef David Penny of Jackson-Triggs Vintners who is in charge of the food component bringing with him some wonderful fresh-herb inspired appetizers with wines to match. And finally, navigating Niagara wine country whether on foot, on two wheels or four, Lance Patten, Proprietor of Niagara Wine Tours International will be with us to share a variety of tours to suit your every need. If you missed last week’s TV show not a problem, watch The Wine Ladies TV podcasts and archived shows on www.thatchannel.com/TheWineLadies from anywhere and anytime. Today we explore the Languedoc, often referred to as the largest vineyard in the world, producing some of the best value wines out there, including a very hot wine that has just hit the LCBO here in Ontario. 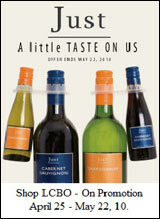 Introducing JUST Chardonnay and JUST Cabernet Sauvignon. Joining us in studio to tell us all about it, Tom Noitsis, President of Eurovintage Wines and Spirits. 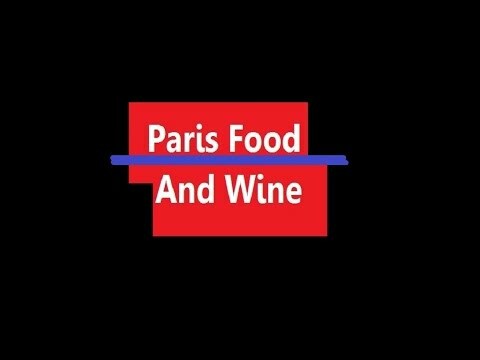 Also while discovering this fabulous region and sipping on these wonderful wines today, we will be working up an appetite as always as joining us too, sommelier and chef, as well as Director of Vintages for Eurovintage Wine and Spirits, Deana Folco Robles. 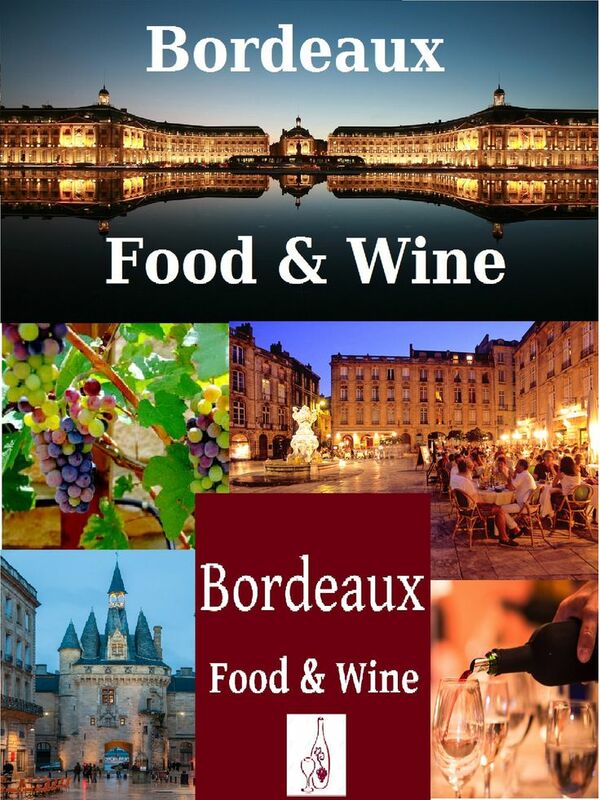 This year 5 new county wineries will open their doors, bringing the total number of wineries in the county to over 20. 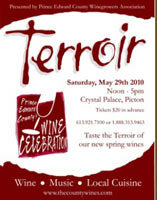 Come taste their wines first at Terroir, Sat. May 29, 2010 from Noon – 5:00pm.Wineries will be serving their own unique county-produced wines, featuring the new spring releases. Crystal Palace Fairgrounds, Picton, ON $20.00 pre-purchased ~ $25.00 at the door (cash only) Please note that attendance is restricted to those 19 years and over. Wheelchair accessible. Click here for Tickets. Network Online with The Wine Ladies! BREAKING NEWS!Get Personal Twitter Messages from The Wine Ladies! We’ve just started, come and tweet with us! Click here to follow us!